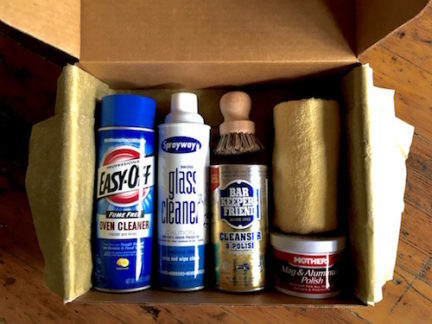 Our recommended cleaning products, available in a convenient kit for home use. *Please note: This item is not included with range purchase. Cleaning products and instructions are offered as a convenience to the client. Use of cleaning products and instructions are done so at your own risk.